Beth Brown is a visual artist and experimental musician practicing in Baltimore, MD. 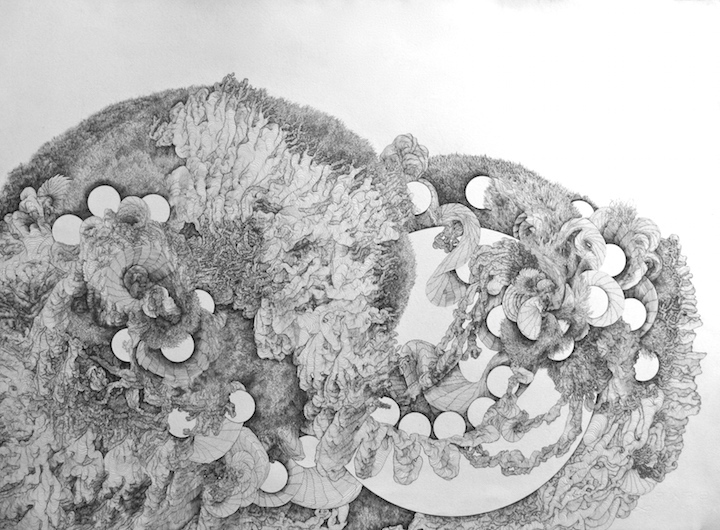 Her body of work includes intricate ink drawings on paper and euphonic processed field recordings. The drawings and musical arrangements share a common thread of representing textural micro-landscapes, articulated through obsessive (and meditative) mark-making, and improvised composition. Brown was born and attended school in Houston, TX where she started to show an interest in drawing, music, and storytelling. At the age of three, Brown began spending her weekends in a remote part of East Texas and utilized the solitude to pursue her interests. The prolonged shifting between city and country landscapes inspired her to capture the differing shapes, patterns, sounds, and narratives on paper and field recording based musical compositions. In 2007, Brown attended the Maryland Institute College of Art in Baltimore, MD to pursue a BFA in painting. After three years of tutelage in figure painting, her work went in an entirely different direction and focused on her first loves; drawing, music, and storytelling. She graduated in 2011 and shortly thereafter released her first album and won a grant for her experimental music compositions and phonography. 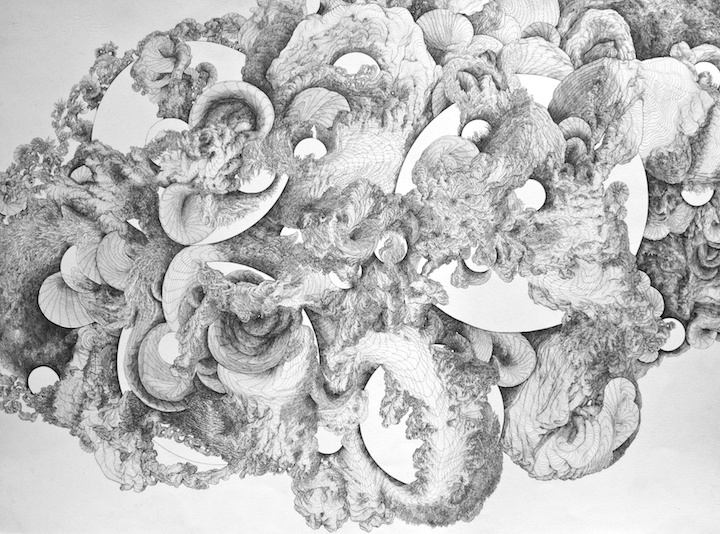 Her visual art has been featured in exhibitions across the United States and publications including Manifest Gallery’s 9th International Drawing Annual, Visual News, Forage Press, The Sketchbook Project’s World Tour, and Juxtapoz. Critics have called her work “a beautiful phenomenon” and “iconic across mediums.” She plans to further her career as a visual artist and musician through releasing another album and expand her body of work. Brown was born in Houston, TX and spent half her childhood in the country where she began to cultivate a love for solitary acts of tedium. Her mother is a practicing oil painter and writer and her father was a research scientist and electrical engineer with fifteen patents attributed to his life’s work. Deeply influenced by her parent’s creative pursuits and ample alone time, Brown began exploring different mediums and graduated from Maryland Institute College of Art (MICA) with a BFA in Painting and a concentration in Curatorial Studies. Since her graduation in 2011, she produced her first album, has begun working on a second under the moniker “Brune”, and won a grant for her experimental phonography. Her visual work is featured in publications including Visual News, Forage Press, MAKE8ELIEVE, Juxtapoz, and Booooooom! 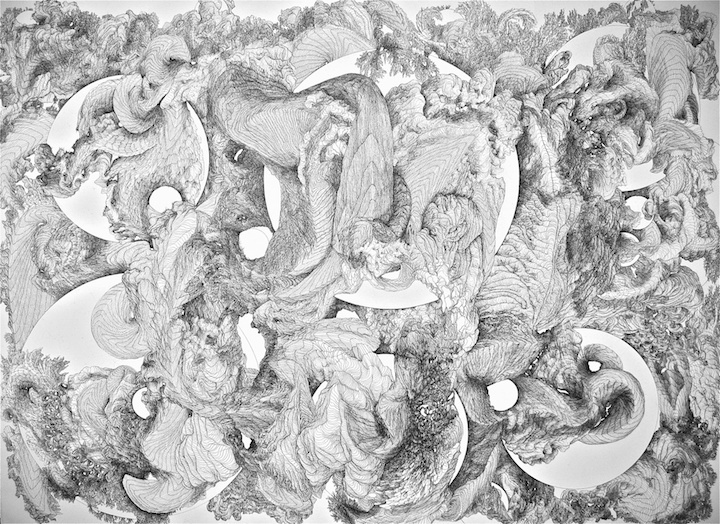 where her viewers and critics have described her ink drawings as “a beautiful phenomenon”, “incredibly enveloping”, and “iconic across mediums.” She plans to attend an interdisciplinary MFA program to further her craft and research.